Smartphone technology competition is shifting from displays, where OLEDs are readily available to the sheer number of cameras. LG's V40 ThinQwas the first supplier to provide 5 cameras and now the company is working on a smartphone camera with 16 lenses, according to a recently filed patent seen by LetsGoDigital. Arranged in a 4x4 matrix, it's designed to capture a scene from multiple perspectives in a single shot that would enabling capturing 3D movies and manipulate shots by, say, moving someone's head around or replacing it completely. 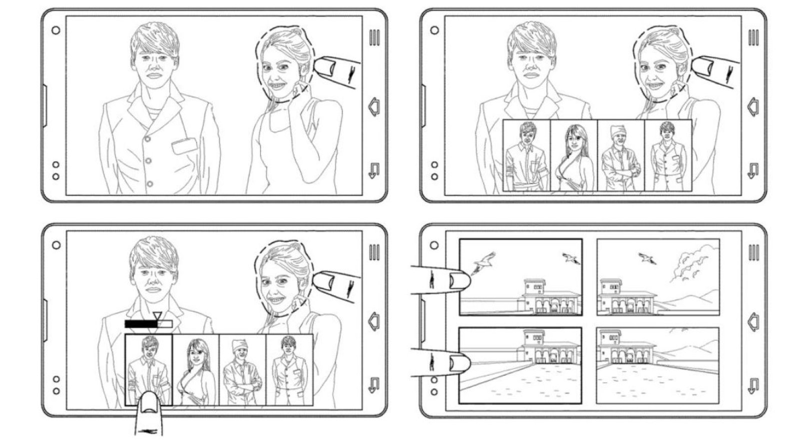 In one example, LG shows how to select the best photo in a series, or create a single shot from multiple angles. 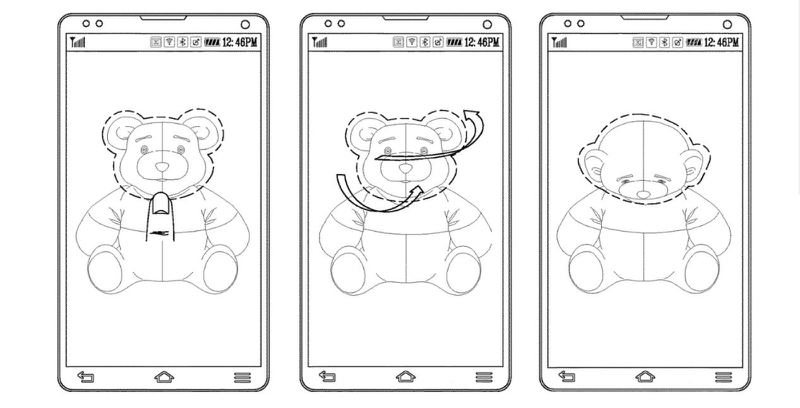 The head of the subject (or a teddy bear, as shown below) could be rotated with whatever angle makes them look best. In another example, one can draw around a person's head with a finger. The system would use AI to recognize them and search for any other photos. It could then replace the head in the photo you just took with, for instance, a more flattering shot. According to the patent, the smartphone would let you use the main camera to take selfies by equipping it with ... a mirror. There's no indication when LG would release such a phone, but it's obviously trying to stay on top of the technology. Much like the megapixel raceseveral years ago, smartphone makers are trying to grab the interest of increasingly bored consumers by adding cameras, it appears. Samsung's Galaxy A9 has fourat the back, and Nokia will soon releasea model with five. The way it's going, the entire back of a phone will soon be riddled with lenses. ​The Infinity-O display is one of three Infinity displays that Samsung at Samsung’s annual Developers Conference earlier this month. Besides the Infinity-O display, the brand is also currently working on Infinity-V and Infinity-U displays. From the image, “O” shaped hole is situated at the top-left of the display. The design clearly lines up with what was shown earlier this month, but what is surprising is the implication that Samsung is giving its mid-range series the first-hand treatment, before its premium Galaxy S and Note series units. ​All of which will feature a “punch hole” in the shape of the variant’s corresponding moniker. Besides the three displays, Samsung also announced its Infinity Flex foldable display. In addition to the announcement, the brand also showed off a prototype unit of the display that, when opened, transforms from a 4.6-inch smartphone into a 7.4-inch tablet. At this stage, there’s no additional information about the Galaxy A8s beyond the tweet. That said, Samsung did say that it intends to rollout devices using their new display as early as next year. But till then, we do advise that you take this with a grain of salt.